Soundgarden guitarist Kim Thayil is sharing his thoughts on the Seattle band’s future as a new Chris Cornell compilation hits stores this week. 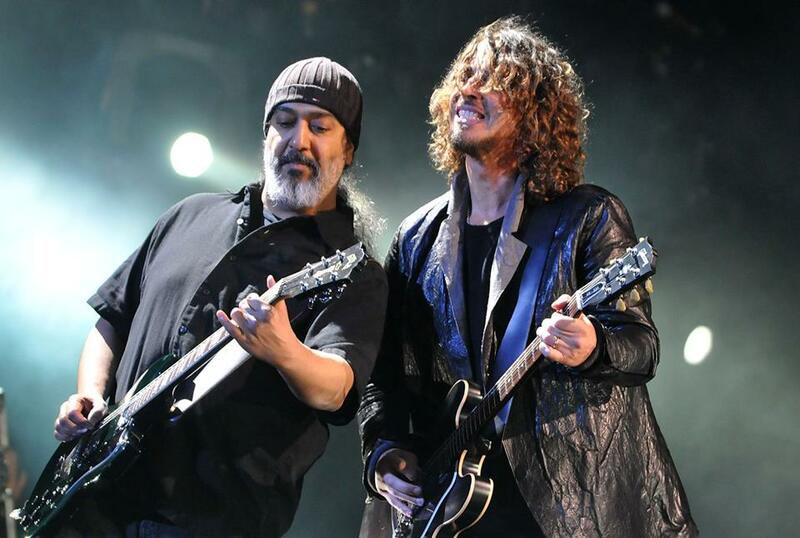 Due November 16, Thayil assisted in putting together the “Chris Cornell: An Artist’s Legacy” package, which presents tracks from the rocker’s extensive career and includes songs from Soundgarden, Temple Of The Dog, Audioslave, and his work as a solo artist before his May 2017 death by hanging in a Detroit hotel room. Thayil and his Soundgarden bandmates Matt Cameron and Ben Shepherd reconnected last month in public for the unveiling of a life-size bronze statue of Cornell outside the Museum Of Pop Culture in Seattle, WA. Thayil, who has been overseeing the group’s ongoing reissue series, has come to terms with the Seattle band’s legacy. As for what’s ahead, Thayil adds: “Really, the ‘Screaming Life’ and ‘Sub Pop’ sessions. We recorded enough material for an album-plus, but we only released an EP initially (in 1987), and the moved on to doing the Fopp thing (in 1988) and had some new songs for that. So there were things that were recorded for (a full) album that weren't released because we had to compact it into a nice little EP, which is what Sub Pop was interested in doing 'cause in the early and mid-80s, EPs were punk rock albums and a great way to introduce new artists. So we have other material and Sub Pop is interested in putting it out, so we're gonna do that, with Jack Endino mixing. Soundgarden may even further explore the final music they were working on at the time of Cornell’s passing. Members of Soundgarden will appear at an all-star tribute concert for Cornell in January. “I Am The Highway: A Tribute To Chris Cornell” will take place at The Forum in Los Angeles on Wednesday, January 16, and include performances by Metallica, Foo Fighters, and more. Tickets for the Cornell tribute concert will go on sale this Friday, November 16 at 10am PT.